It’s easy to get blindsided by a particular Linux distro, especially when you’ve spent so much time using it. But the fact is, Ubuntu isn’t the most popular option for Linux desktops. For the past few years, Linux Mint has sat atop the Distrowatch.com chart, smelling sweetly at its rivals. Ubuntu is up there still, in second place, but Linux Mint is where the downloads are. How did this happen? And why are there so many versions of Linux Mint? How Did Linux Mint Get So Popular? 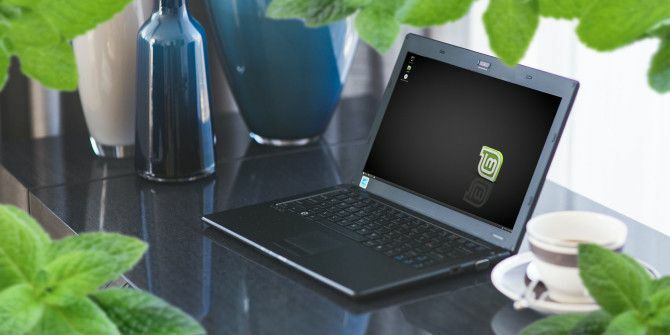 Developed by a team fronted by Clement Lefebvre, Linux Mint first appeared in 2006, aiming to deliver elegance to Ubuntu. Based on the distro from Canonical, Linux Mint began its conquest of Ubuntu when the latter switched to the Unity desktop environment How to Install Unity 8 and Mir on Linux Ubuntu Right Now How to Install Unity 8 and Mir on Linux Ubuntu Right Now In time, Unity 8 is expected to unify the Ubuntu experience across phones, tablets, and desktops, using the Mir display server. You can try both of them out today with Ubuntu 16.10 Yakkety Yak. Read More in 2010. 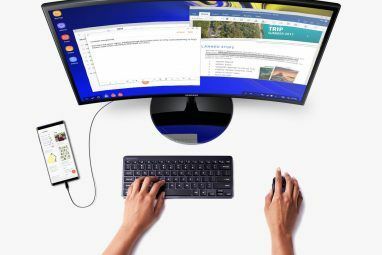 Perhaps because no one really wanted a UI intended for touchscreens, mobiles, and desktops, the Cinnamon desktop was born, which shipped with Linux Mint 13 “Maya”. But perhaps the biggest strength of Linux Mint’s public image is the fact that it is available with a range of desktop environments. Offering multiple options certainly won’t be hurting its downloads! Back in 1990, British heavy metal band Iron Maiden had a unique number 1 chart hit in the UK with Bring Your Daughter to the Slaughter. They did this with little radio airplay, while releasing several different versions, with alternate covers, and picture discs. Linux Mint’s latest release, Linux Mint 18 Sara, takes a similar approach. With Linux Mint 18, you get two main versions, each with their own choice of desktops. In total, there are SIX versions of Linux Mint. It’s hardly a surprise that Linux Mint is doing so well! Let’s look at the five versions you can download today. Most Linux Mint users make a choice between the two main desktops: Cinnamon and MATE. Cinnamon is more visually striking, but Cinnamon is darker with apps and tools arranged by category with a search box at the top of the screen. In the lower right corner, you’ll find the button to switch between desktop workspaces. As the definitive Mint desktop, you’ll find a Windows-esque menu, while the file manager resembles the simplicity of Windows Explorer or the macOS Finder. System settings are arranged at multiple levels, however, like an overly-cautious Android, so finding what you want may take a while. Another thing that seems slightly unbalanced is the custom desktop background option, which is simple to change, yet the number of images you can choose from is overwhelming. All in all, Cinnamon is a good desktop environment, albeit one intended for modern machines with decent graphics. 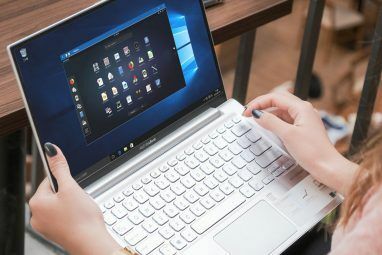 Older PCs may have issues installing Linux Mint with the Cinnamon desktop, which is why you might prefer one of the alternatives. Meanwhile, MATE — a fork of the GNOME 2 desktop GNOME Explained: A Look at One of Linux's Most Popular Desktops GNOME Explained: A Look at One of Linux's Most Popular Desktops You're interested in Linux, and you've come across "GNOME", an acronym for GNU Network Object Model Environment. 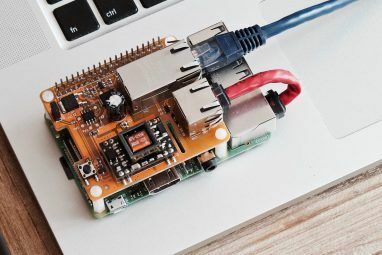 GNOME is one of the most popular open source interfaces, but what does that mean? Read More — is faster, while claiming to offer a more authentic Linux experience. Less resource-intensive, MATE has a simpler menu than Cinnamon. Found to work on PCs with as little as 64 MB RAM, MATE is a perfect choice for older PCs. It has a direct attitude to UI design, with a feature-packed file manager, and a Control Center where you’ll find every settings tool you’ll need, clearly arranged. Desktop customization is easier with MATE, with a tool included to switch the background. If you want to tweak the overall theme, and fonts, this is also possible. All in all, Linux Mint with the MATE desktop environment feels like a more authentic Linux experience than Cinnamon. If MATE and Cinnamon don’t suit you, or you can’t get either to install on your PC or laptop, then you might consider Linux Mint with the Xfce desktop environment XFCE: Your Lightweight, Speedy, Fully-Fledged Linux Desktop XFCE: Your Lightweight, Speedy, Fully-Fledged Linux Desktop As far as Linux goes, customization is king. Not only that, but the customization options are so great it might make your head spin. I have previously mentioned the differences between the major desktop environments... Read More . Available as a full OS download or as an individually-installed desktop, Xfce is a much lighter desktop, suitable for low spec and older hardware. Included with the Xfce version is X-Apps, a collection of replacement applications to take the place of various aging GNOME apps. Fortunately, most of the visual changes are subtle, and functionality is retained. We’ve chatted about the KDE Plasma desktop The New KDE Plasma 5 Desktop Is Gorgeous -- Here's How To Try It The New KDE Plasma 5 Desktop Is Gorgeous -- Here's How To Try It While the KDE Frameworks is considered to be stable, not all things KDE have been modernized. However, you can use other methods to try out KDE 5 until it's widely available. Read More several times in the past, and it really does being a nice new feel to Linux. And if you download and install Linux Mint 18 KDE, you get the pleasure of Plasma! As such, there is little I can add here to what we’ve already shown you with KDE and Plasma. You get the benefit of the most popular Linux distro out there, with the Plasma desktop. Sure, Cinnamon might look nice, and Xfce and MATE might be functionally useful, but Linux Mint 18 KDE really takes some beating as a Linux desktop experience. So far, we’ve been looking at Linux Mint based on Ubuntu, but there’s also a version based on Debian. This can cause some confusion, as Ubuntu itself is based on Debian, but that’s the open source world for you! The Linux Mint Debian Edition is more commonly known as LMDE, and features its own package repos, without PPA compatibility Need More, Or Updated, Software? Try These 7 Ubuntu PPAs Need More, Or Updated, Software? Try These 7 Ubuntu PPAs Read More . Other features are lacking, but you don’t really use LMDE for production. Rather, this is bleeding edge stuff, aimed at Linux Mint veterans and anyone else ready to accept brand new, barely-tested packages. As LMDE gets the updates first, they can be tested, evaluated, and fixed before being rolled out to the mainstream Linux Mint (“Mint Main”). If you wish to try LMDE, you’ll need a lot of Linux knowledge and understanding of package managers. Currently, LMDE is at version 2, “Betsy”, which was released in April 2015. LMDE 3 is currently in development. LMDE ships with a choice of desktop environments: Cinnamon and MATE. Do you use Linux Mint? Which flavor of desktop do you prefer? Have you tried the cutting edge of the Linux Mint Debian Edition? Tell us how you like to chew the Mint in the comments. Explore more about: Linux Desktop Environment, Linux Mint. Just put Linux Mint in my laptop and laptop is operating like a computer with 3 gig slave and over 250 gig memory ought to. Remember that psychologically damaging 'bonk' that XP would deliver upon a wrong key input?, and if the volume was high then a 911 trip to the emergency ward would be necessary to be fitted for hearing aids. Linux intelligently dosen't treat you stupidly, instead it is more of an assistant with many surprising features that one might think would be standard in any Microsoft platform. I now twice as good with both Microsoft and Linux/Ubuntu at my command. The article says, of Xfce, that it is - "Available as a full OS download or as an individually-installed desktop." How can I do that? How can I install Xfce as an individually-installed desktop if I have either Mint 18.3 Cinnamon or 18.3 Mate installed? Just download the XFCE desktop and install it. When you boot-up, you pick which desktop version you wish to use that session. I am really interested about comparing the different flavours of mint. I get few good points from your article, but it could be more helpfull if you can add a table with advantages and limitations.